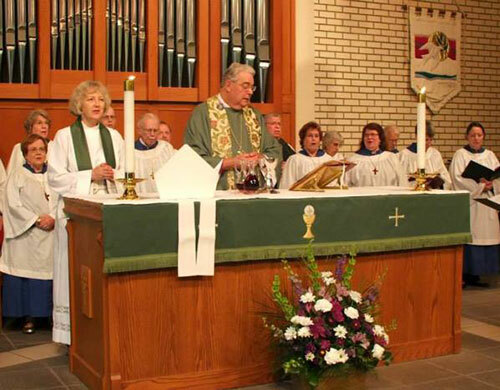 St. Catherine of Alexandria Episcopal Church offers traditional worship with an emphasis on the beauty and depth of our Anglican/Episcopal liturgical and musical heritage. Worship is at the heart of our life together. Season of Lent: Altar Guild helps prepare worship during the 40 days preceding Easter, beginning with Ash Wednesday. Changes that one may notice during this period include removing colorful flowers and replacing with greens only. Colors of altar vestments are changed to purple through Palm Sunday. Crosses will be veiled in sheer fabric shaded purple. Vessels will be changed from sterling silver and/or gold to ceramic and wood. Did you know why use purple during Lent? Purple has traditionally symbolized penitence and mourning but also royalty, a reminder to welcome the coming of Christ. A traditional, spoken, Rite I service. On Feast days the celebrant chants the Eucharistic prayer. Our largest service is a sung Eucharistic service with full choir. The celebrant chants the Eucharistic prayer. Hymns are from the 1982 Hymnal with some additions. We involve youth in our worship leadership, as lay readers and acolytes on a regular basis, and more widely a few times a year on Youth Sundays. Children’s chapel , offering an age-appropriate service for 18 months to 8 years is available at 10 a.m. The children join their parents at The Peace so that the entire congregation is together for the Great Thanksgiving. A contemplative Eucharistic service with a variety of music, beginning the first Sunday of Lent, February 18, 2018. This service will be more casual than our Sunday morning services, with different types of music. We will be experimenting during 2018 with elements of this service. Once a month it will be focused on healing. Contemplative Sung Evening Prayer Second Thursday of the month at 7 p.m. in the Nave. This monthly service in the contemplative tradition includes incense, candlelight, icons, silence, and beautiful sung prayers from Taize’ and others. There are special festal services at Christmas, Easter and Pentecost. At Christmas, there are three services on Christmas Eve and one on Christmas morning. Ash Wednesday is observed with two services, with the Imposition of Ashes from the palms burned on Shrove Tuesday at each. During Holy Week we emphasize the Triduum: the Maundy Thursday Service with the Stripping of the Altar, the Good Friday liturgy and The Great Vigil of Easter. Holy Saturday evening we hold the Great Vigil of Easter followed by Festive Choral Eucharists at 8 and 10 on Easter Day Additional services are held as befitting the liturgical season, including the celebration of St. Catherine observed in mid November to honor the saint for whom our church is named. 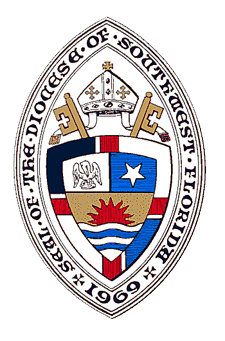 JOIN ST. CATHERINE EPISCOPAL !